Lucy Birch looks forward to making a contribution to healthcare and creating a more effective hospital service. Since graduating I have applied to three hospitals within the South West and was fortunate enough to receive job offers from all three. I have also applied to undertake a part-time masters degree alongside my work commitments. I didn't change my career path, but during my studies I did think of other specialities or avenues I could go down once I had gained my qualifications. The fact that I had very supportive and inspirational academic teachers ensured that my initial spark and interest in midwifery education grew, leading me to think about taking my career in that direction. The competitiveness of securing a job in the South West was a really difficult factor in securing a job. You’re going against all your friends and peers who also desire a job, which can be a challenging process. I am looking forward to being able to make a difference and contribute to changes within healthcare, with the goal of improving peoples’ lives and peoples’ experiences of being treated in a hospital. Make sure you attain the appropriate qualifications and try to gain some work experience before starting the course so that you get a better understanding of working in healthcare and the realities of working for a 24/7 service. 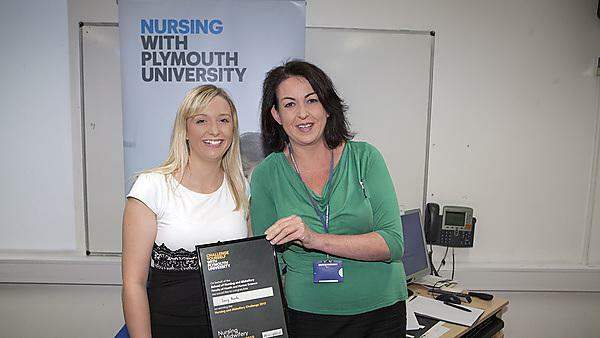 The fantastic, up-to-date, high-quality teaching helped me exceed at University of Plymouth. The genuine care and support the academic staff gave students exceeded what was required in their job roles and allowed students to flourish. For more information about studying BSc (Hons) Nursing (Adult), please visit our BSc (Hons) Pre-Registration Midwifery page. For more information about our range of courses within the School of Nursing and Midwifery, please visit the school page.